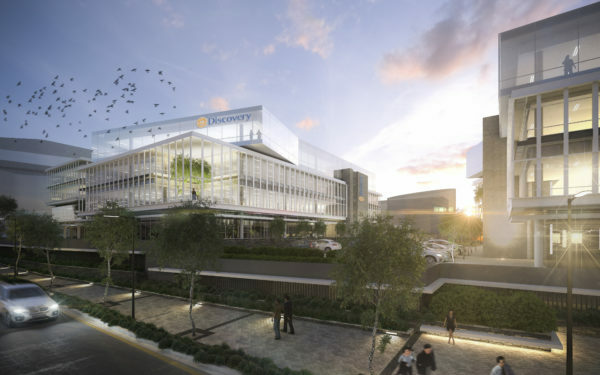 Two exciting commercial developments, including new offices for Discovery, are being developed by Rabie Property Group at Century City to meet ongoing demand from those wishing to relocate to this burgeoning precinct. The first of these developments is Sable Park, which will bring 16 300m² of premium grade offices to the market by end June this year. Sable Park has been registered with the Green Building Council of South Africa aiming for Green Star accreditation. Among its many green attributes is the fact that, as with other buildings in the Bridgeways precinct, recycled effluent is used for the flushing of all toilets and the running air cooling systems. 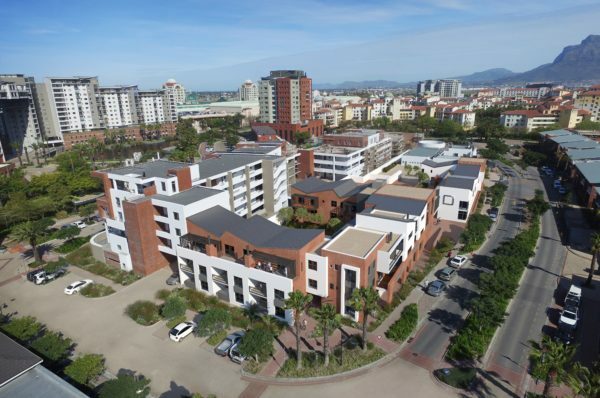 Being developed by the Rabie Property Group at a cost of R460million, Sable Park will comprise two four storey buildings of 8 000m² and 8 300 m² respectively, each with two levels of underground parking. Discovery has taken the larger of the two buildings and negotiations are well under way with a number of global players for the second building which is ideally suited for a large user looking to make a strong corporate statement but has been designed to be flexible and if needs be, could be sub-divided to accommodate two or three users. Designed in a contemporary modern vernacular by the award-winning dhk Architects, the buildings will front on to Sable Road providing high visibility and offering uninterrupted panoramic views of Table Mountain and Table Bay. The second new development is Manhattan Corner which will comprise a mix of offices on the ground floor and residential apartments above in two attractive buildings of varying heights providing a staggered skyline. A dual plumbing system is also being installed at Manhattan Corner allowing only non-potable water to be used for all toilet flushing. The seven offices, range from 44m² to 114m², but units can be joined if needs be. Rentals are from R8000 to R25 000 per month. Munnik Visser are the architects who are ensuring that the new development compliments the existing buildings in the precinct but still imbues its own identity. Both components of the R60m development have been acquired by an investment company for rental stock. The development is expected to be completed by mid-2018. For further details contact Jason Elley on 0823392722 or Sedica Knight on 0823426544 or 021 5507000.